Any eBook Converter is a free DRM removal and converter for Windows users to strip DRM protection from Kindle, Adobe Nook and Kobo eBooks, and convert any eBooks to unprotected formats for reading on multiple devices or readers. Scan and load eBook library from computer quickly and intelligently. Remove DRM protection from Kindle, Adobe, Nook and Kobo eBooks easily and effectively. Convert any eBooks from the market to unprotected formats for reading on multiple e-Readers conveniently. With the innovative DRM decrypting and encoding technology, Any eBook Converter is capable of converting any DRM-ed eBooks including Kindle, Adobe, Nook and Kobo eBooks and DRM-free eBooks to various output formats as EPUB, Mobi, PDF and TXT, etc. 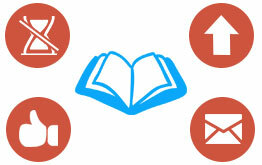 Work for DRM-ed or DRM-free eBooks based on users' diversified needs. Various output formats including EPUB, Mobi, PDF and TXT, etc and output settings are provided. Any eBook Converter is a user friendly tool, with which you can edit some necessary metadata information including title, author, publishing date, publisher, cover etc to personalize your eBooks. Add and convert any eBooks from computer in batch with few clicks. Edit the metadata information if necessary before conversion. Convert any eBooks at fast speed to save your time. The humanized design on Any eBook Converter enables users to complete the process in few steps. And it is perfectly compatible with Windows 10/8/7/Vista/XP. Without adware malware, you can feel safe to download and install it. Access to every updates and technical support via customer services. 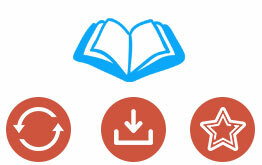 Easy to download & install; Convert DRM-ed Kindle, Adobe or DRM-free eBooks. Easy to use & Edit the necessary matadata information to personlize your eBooks. Thank-you for providing an awesome free program. Your free eBook converter program works a treat. I will keep looking at upgrading.